J: Michael, As the others have mentioned, yours is a GREAT description/delineation of certain parts of projecting the human voice. Obviously, Mr. Jussi B was-NOT guilty of the old term, nasality, as we assume it to be, in it’s usual connotations. Do you know-of any singers who ARE guilty-of a nasality, in tone, in past/present? S: This is really good stuff, and I’ve been mulling it over. My question is, what then causes the sort of sound we think of as “singing through the nose”? Is is actually because one is NOT using the nasal resonance? R: I did an awful lot of singing but never gave any thought to what was happening where for I prefer to learn how to do something unconsciosly. I would hear someone sing and wonder how he did this or that and then fool around till I could get something like that. It was mainly imitation and never of Jussi. My models were Gedda, Simoneau, and Richard Lewis for that was more the sort of voice I had. I didn’t want to search for notes and so I just sang a lot and eventually my body knew where the notes were and I just sang them. But that only worked for notes I sang often and since I don’t sing much above Es and Fs now I have pretty much lost the higher notes (ie. I would have to search for them if called upon to sing them, but that is unlikely). My ideas were influenced more by Polanyi’s “Personal Knowledge” (particularly the part about riding a bicycle), keeping ever in mind Simoneau’s “Sing with what you have, not with what you wish you had”. There are actually two types of nasality. The bright, “nasty” nasal sound that we might associate with bratty children. This might show up in certain styles of singing. Then there is the “dopey”, post-nasal sound. I’ve heard some light tenors fall into this in a mistaken belief that they are singing in the head. That is what I hear in the two I mentioned above. In fact there was a tenor I sang with in New York that was of the bright nasal type. I can’t remember his name. He was doing Don Jose in Carmen and I was doing chorus with a small group, Opera Company of Brooklyn. He sang everything strongly though his nose. It was brilliant, but not very beautiful. 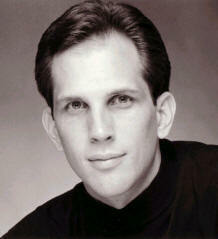 In fact my first teacher when I was 18 was a tenor that sang in the very same way. Everything through the nose. And it was intentional. To answer “S”s question, nasality is not a result of a lack of nasal resonance. It is more like it is a constriction of the nasal resonance. The throat and nasal passages, the whole air-way, should be open like free breathing. This allows there to be air available to resonate. Then there are no obstructions to the radiation of the sound energy. This energy passes through the air, as well as reflecting off of the inner surfaces and transferring through the bones of the skull. It is the reflecting of the energy that creates more complexity in the tone. It is the excitement of the air in the hollow spaces that creates amplification. And it is the transfer through the bones that gives us the feeling of placement in the mask. These all are a result of the complete and intense vibration of the vocal cords combined with an effectively formed resonating system. If these conditions exist we can’t keep the tone from filling the head spaces, including the nasal passages, and feeling the tone in the skull and face; the “mask”. If these conditions don’t exist, we can’t do anything to make the tone be in the mask. This is why attempts to “place” the tone tend to be futile. These sensations are the result of the existence of the proper conditions. If we don’t create those conditions we can’t get that result. That tends to be the reason some singers sing nasal. They are trying to create this “mask placement” by trying to do the placement instead of creating the conditions that result in that sensation naturally. “R”, I appreciate your story of the way you figured out your voice. That is actually what we all have to do, even with a good teacher. Unfortunately, many of us don’t realize that for a long time. Thinking the teacher will do it for us. I often use the analogy of learning to ride a bike. So it is interesting that you mentioned that. Even with someone “teaching” you to ride a bike, they are not really able to teach it. They can describe what you need to do. But ultimately you need to figure it out for yourself. There has been a lot of mention here about Josh Groban’s technique issues. He has dumped David Romano – sometime after his All That Echoes album was released – and is working with a new voice coach now. Her name is Kristen Blodgette. A Google search of her reveals that she has done a lot of work with Broadway. The improvements of his voice is very evident on his latest albums, Stages (which is covers of Broadway songs) and Bridges (which is pop songs). His upper range is back to normal. His voice is smooth again. His timbre – which had been darkening – is lighter again. His voice on Bridges sounds higher to me than previous albums – more tenor, less baritone. This is a fascinating discussion. A majority of singers, sing nasally. Gospel singers give the allusion they’re not but from what I’ve experienced, professionals often do to protect their cords. Nearly all of pop is sung with a forward resonance and some of it sounds amazing, other times it’s too dry. Bottom line, if you’re singing solely from your throat, you can kiss your vocals goodbye. I will start by saying it is true we want “focus”. But as we have talked about many times before, we have to be clear about what is the cause and what is the result. Focus is a positive result that is caused by proper behavior of the mechanism. It is not really correct to talk of focus in the tone, at least regarding what we are trying to do. Anything to do with the tone, including focus, is a result of the nature of the vibration combined with the nature of the resonance. So a focused tone is dependant on focused vibration first. A focused vibration means pure, not leaking or diluted by unvocalized breath, and regular. Remember any breath involved in the phonation needs to contribute to vibration. Any that escapes that is not part of the vibration is wasted and inefficient. A pure vibration will have greater intensity as a natural result. This greater intensity can be noticed as being brighter. But it needs to be understood that the “brighter” is a product of the vibration and not be arbitrarily pronouncing a brighter vowel. To do that would risk knocking the system out of balance. The relation to the ee vowel is simply because that vowel tends to be more pure than others. But I agree that it is less desirable to try to achieve the result through this kind of deliberate vowel manipulation. The relation to a “slow vibrato” (which is a misnomer because if it is slow it is no longer really a vibrato, it is something else) is directly related to the purity and regularity of the vibration. This talk of “nasality” and “placement” brings to mind something that’s been going back-and-forth in my head lately. It’s about ‘focus’ in the tone. David Jones mentions that one possible cause of a slow vibrato is lack of focus in the tone. However, I do not really know what it means. When my choir teacher tells us to have a bit more ‘focus,’ it’s more along the lines of making the sound a bit brighter, or aligning the sound with the Italian [i] vowel. I’m not sure if that sits well with me, though, as it sounds like it has to do with intentionally manipulating the sound instead of letting it flow freely. So what does it mean, really, to have focus (or lack of focus) in a tone? You’re welcome, Ron. Thanks for the referral to the book. I think I have had it recommended to me before. I’m not sure if it is the same one. I’ll look at it. The big thing to find out for yourself, regarding your situation, is if your descriptions represent balanced coordination. The problem with descriptions is they can refer to good conditions or poor conditions. People can describe either the same way depending on their past experiences and their personal perspective. So although your descriptions could represent good conditions, I can’t say for sure which is the case for you. Hope that makes sense. Thanks for reading. Thank you Michael for your reply to my question about an open throat. Then there is nothing to worry about. This discussion has been very interesting, and the explanations great. Confusion over the term “Nasal tone” arrives because most students don’t get any reference point to compare to when learning about it. There are varying degrees. Here are some examples I can think of. Mostly, let us begin with Country singers. That may not be what classical singers would want to copy, but they will illustrate a point. Most country singers sing with what is called the “country nasal twang.” That is an extremely obvious nasality in the voice. Hank Snow, Hank Williams, and Randy Travis are examples of nasal singing. In classical or operatic singing, one doesn’t really come across that sort of singing normally, even in singers who are said to be very nasal. The only really obvious example I can think of is Maria Callas. Writers called it her “extreme forward placement” but in reality is was more nasal. Not all her notes are sung that way, but many are. She even provides a perfect example of throaty singing. Her low notes often sound as if they are in a bottle, and that is what throaty singing sounds like. It is seldom raspy and choked like one hears in actors who are creating a rough character (Jeremy Iron’s character in Kingdom of Heaven). Her middle tones often sounded “mouthy” or so in the mouth that to immitate them one would actually have to pull the sides of one’s mouth quite wide while opening the mouth very wide. And for readers who think this is disrespectful of her talent, it is not. Nothing can take from her the great work she did, nor the accomplishments. The fact is, her voice was flawed, and all the work she did merely tamed it somewhat. What she did with what she had was a miracle. But that doesn’t remove the fact she had nasal tones that were really horrible at times, bottled up throaty tones that were restricted, or piercing high notes that were out of control. But she could also balance out her voice, give it exceptional control, and have things literally sound so good you could see no flaws at all. Usually in opera, nasal tones are used for comic affect or for characterization. One can find many examples of that on record. Mime in Wagner’s Ring Cycle is often portrayed with a very nasal whinning tone. It is a good example of a classical singer singing with nasal sound. Yes, it is more exaggerated than one would normally hear, but it illustrates the point. Count Almaviva in Rossini’s Barber of Seville when disguised as a music teacher often is performed in a very nasal way. And then there is the witch in Hansel and Gretel. This role requires the use of nasal sound to sound evil, but also comical. However, because of the writing, one cannot sing nasal all the time. A good artist knows how and when to use nasal sound, and to what level the sound should sound nasal. There are many excellent recordings of this role. If one finds one where the witch is sung by a tenor (permitted by the composer, hated by myself) one will hear a great deal of nasal singing, again, for characterization. While these are deliberate uses of nasal sound, they do illustrate what it is like when taken to the extreme. Callas was NOT a deliberate sound used for any dramatic purpose, rather that is the sound she produced. By comparing the singers, one can hear a singer whose voice, be it training or natural flaws, produced an uncontrolled nasal sound, while one will hear another singer who produces it for a purpose. Broadway singers often use a very nasal placement to belt properly. If belting is done too much in the mouth or the throat, the voice disappears very quickly and hoarseness sets in before one has hardly begun. However, many broadway singers are taught to have a very forward placement, a nasal placement, to allow them to belt while keeping very clear diction, and retain a more natural sounding voice (natural as compared to the speaking voice). While many broadway singers of today are trained to sort of mix this belting sound with a more classical sound, that was not always the case in the past. A good example of a nasal production is Ethal Merman. She was never a trained singer, and none of the composers of that day ever wanted her to train, as they did not want the “Jeannette MacDonald” operetta sound on broadway, they wanted something more American and more natural. Ethal was noted for her belting, and it is very nasal in quality, but still quite beautiful. Nasal here does not sound like singnig with your nose plugged. I once had the experience while singing with a very horrible conductor of great fame of being forced to sing with a very forward placement, extremely forward. It was totally unnatural to me, and it hurt. A wonderful colleague of mine told me of an exercise I could do to monitor my sound so as to achieve his forward placement without becoming nasal and forming bad habits. I only share it because it does help a singer hear and feel the difference between nasal singing and what is often called an open throat. One plugs one’s nose and sings on any comfortable pitch: MING, MING, MING, MING. The buzz in the nose is incredible, almost to such an extreme it really becomes an irritating tickle. But one will notice the familiar sound of “singing with your nose plugged.” Of course, no one would ever want to sound like that. Now sing the same thing again, with the nose plugged, and this time think of the sound not concentrating in the nose. Actually start the sound there and then allow it to move outside of the nose vibration. The correct balance of nasal placement is there for good singing, but the throat is also open. It had to open to allow the tone to move away from the nose. The uvula lifted up and wide which is a factor in open throat. I found if I tested myself with this little exercise, I never developed that horrible nasal sound, and also had the forward placement the conductor demanded. I cannot say if the singing sounded better or not. The public enjoyed the performance, but that was one of my performances I did not have recorded, so I cannot say what the audience heard. All I know is I could concentrate the sound as he wanted, and keep it from closing the throat. The exercise is actually a very old one for testing the voice for exactly that — being too nasal. Open throat is not having a constricted throat, as Michael has said. But there are ways of helping a singing develop the sensation of an open throat without doing much of anything that can and often does get in the way. One is the feeling of “happy surprise.” Imagine you have just won the lottery, you are filled with happiness. You face lights up with that joy, and often your mouth with gently open. If you look down your throat at that moment, you will see the open throat (at least as best a singer can see it). Your uvula is up and wide, the tongue is in the NG position and outside the throat. Another easy way to get the feeling without work is simply to do a wide snuff. You sniff in through the nose, and then gently open your mouth as if to speak. Again, you will notice the uvula up and wide. Even easier is simply to have a two part breath (but it feels like one part, there are not pauses between the different places to inhale). One begins a breath through the nose, inhaling through the nose, and then transfers it to the mouth. Again, the open throat will happen of itself. Many singers, to keep that open throat sensation will breath whenever possible through the nose and mouth in this way, or with a quick inhalation feeling the happy smile. The throat of itself stays open. One doesn’t have to “keep the open throat.” If one does a breathing exercise doing this double inhalation, in no time the feeling of open throat becomes fairly natural, and it becomes something you really don’t need to think about. And if you ever start feeling restricted, simple plug your nose and then sing so as to not create that “singing through your nose sound.” That will gently remind you of what to do. Michael’s explanation is wonderful. Basically, if you have an open throat, you will feel nothing when you sing. You will not feel the throat in any way, nor the larynx, or anything in that area doing anything. It will simply do because it is feel to do. Ron, what you describe sounds like what should happen. The sound is smaller in our head on the higher notes. And the sound does go up and a little back into the head. These are good things. High notes are supposed to resonate in the head and not lower in the throat, and definitely not in the chest. The thing to understand is we can’t fix individual problems. If we notice the throat is closing we can’t fix it by trying to keep the throat open. We have to make sure the complete coordination is correct. This is because every part of the vocal instrument is interdependent. The main thing with the throat is to keep it from closing. We have to convince ourselves that we don’t need to close it to phonate. It should stay the same as breathing. The vocal cords close inside the empty, open feeling. We don’t really feel them. Michael, correct me if I’m wrong, but Roberto Alagna sounds awfully nasal at times (just listen to his Werther). I am new to this forum and I enjoy to read all the questions and also your answers. I have two questions to you and the forum: how can I keep the throat open when singing above the passagio? The experience I have when singing high notes is that the tone sounds smaller in my head and perhaps that´s natural. The sound goes up and a little back into my head. What sort of vocal exercise can I use to keep the resonance or better the throat open? Hopefully you understand what I mean. English is not my mothertongue.